Dec. 3, 2018 - Iraq’s Hashd al-Shaabi, or the Popular Mobilization Forces, was completely blueprinted and launched by the Iranian regime’s Revolutionary Guards (IRGC) and the Lebanese Hezbollah, according to Iranian state TV. Recently, the U.S. House of Representatives unanimously adopted a bipartisan bill punishing and sanctioning individuals and entities affiliated to the mullahs’ regime in Iraq. This resolution includes amendments from Judge Ted Poe, Chair of the Subcommittee on Terrorism, calling for the terrorist designation of two groups in Iraq. This includes Asaeb Ahl al-Haq and Iraqi Nojaba, both associated directly to the Iranian regime. In a ridiculous attempt to save face before IRGCand Basij members inside Iran, state TV brought Mullah Ka’bi, head of the “Iraqi Nojaba” extremist group, for an interview to claim the named mercenary groups in Iraq completely loyal to Tehran’s mullahs and the IRGC. 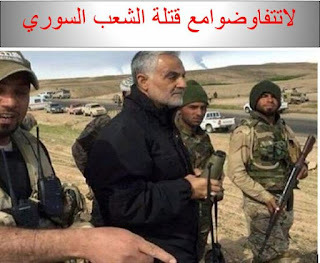 It is worth noting that the Iranian regime back in 2014 said the PMF in Iraq is nothing but a pseudo name for the terrorist IRGC and Quds Force, taking the Iranian regime’s IRGC Basij and the Lebanese Hezbollah as examples. 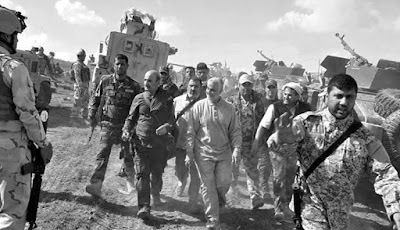 It is worth noting that Nasrollah has publicly acknowledged the fact that all Hezbollah expenses and its entire arsenal have been provided by the mullahs’ regime. “Let me be very clear and there may not be another example anywhere in the world, for someone to come and publicly, transparently and honestly say before the entire world that Hezbollah’s budget, expenses, food, weapons, and missiles are provided by the Islamic Republic of Iran. End of story. It has nothing to do with banks. As long as Iran has money, we have money,” he once said in a speech.